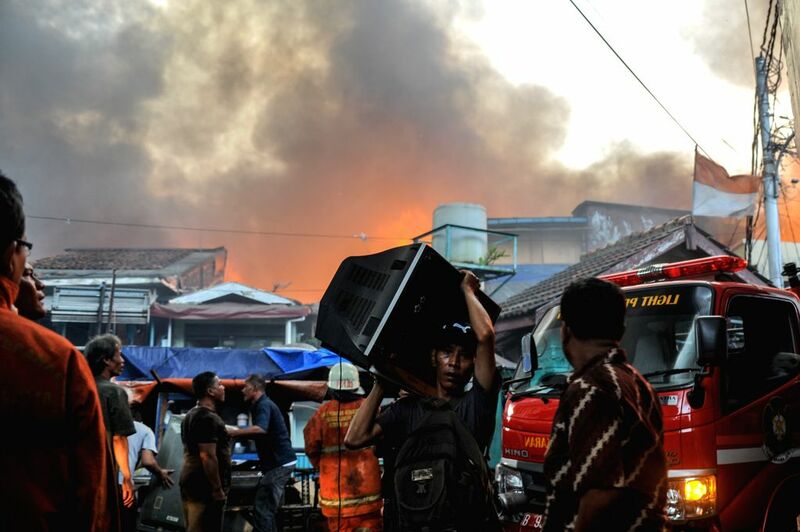 JAKARTA, March 5, 2015 - A resident salvages a television from his house during a fire at Tanah Abang in Jakarta, Indonesia, March 5, 2015. As many as 23 fire engines were deployed to extinguish the fire which destroyed hundreds of houses in the densely populated area. There were no casualties reported in the accident. 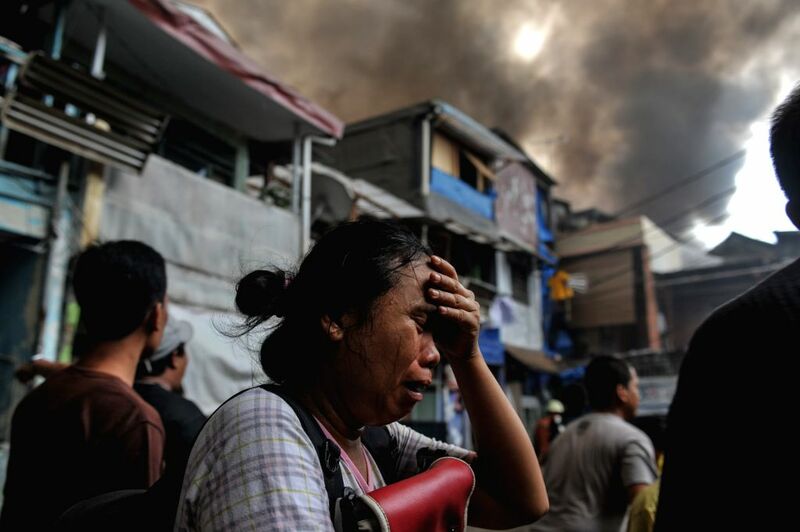 A woman cries after knowing her house caught fire at Tanah Abang in Jakarta, Indonesia, March 5, 2015. As many as 23 fire engines were deployed to extinguish the fire which destroyed hundreds of houses in the densely populated area. There were no casualties in the accident. 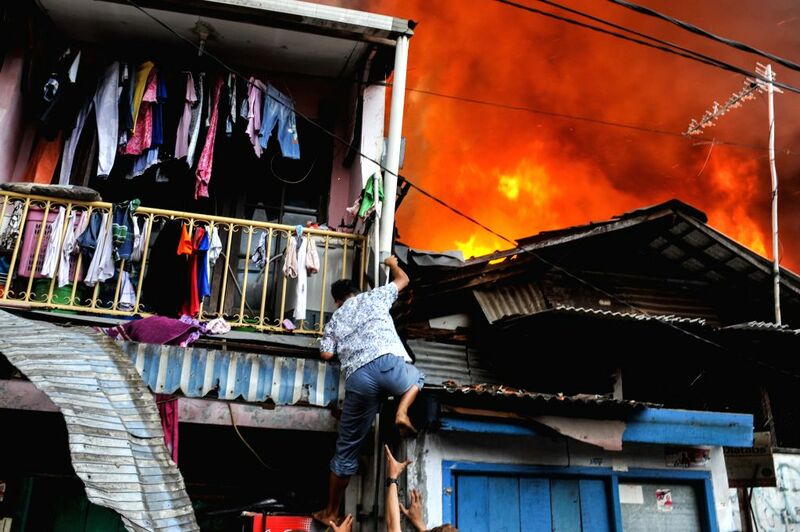 A resident climbs down from the second floor of his house during a fire at Tanah Abang in Jakarta, Indonesia, March 5, 2015.